Growing up in Canada, it was always really easy to tell when Autumn rolled around - Autumn meant that school had started, Thanksgiving was coming and Halloween was around the corner. Before I arrived in Taiwan I had never actually realized how popular Canada was as not only a travel destination, but a brand name as well. I had wrongly assumed that when people thought about my country that they would probably be scared away by our harsh winters - Surprisingly though, people always ask about the beautiful Autumn colours and how our iconic maple leaves all turn red before falling to the ground in winter. 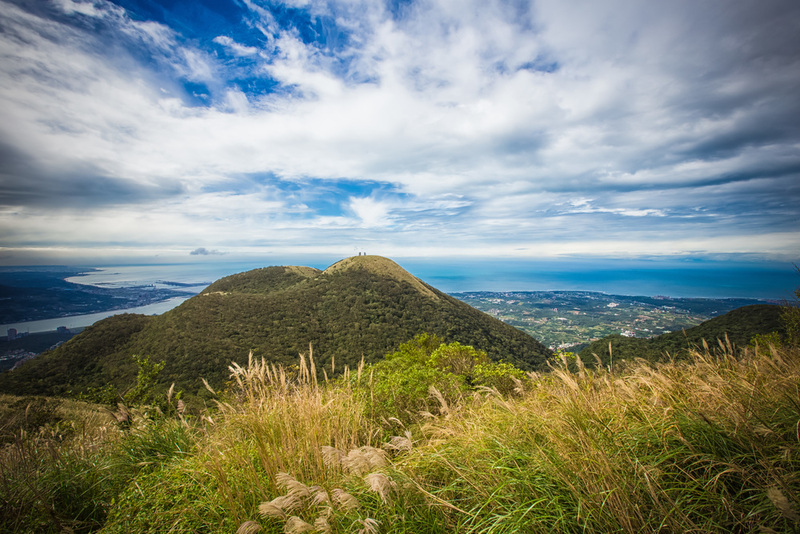 Taiwanese people have a great respect for nature and people of all ages and walks of life enjoy the many different blooming seasons of Taiwan’s various kinds of flora (and fauna?) and just like in Canada, a sure fire way to know that Autumn has rolled around is to see the beautiful beige silver grass growing on the mountains, hills and along the side of the roads. As I've mentioned before in posts about water lilies, tiger lilies, cherry blossoms, etc. Taiwan has a multitude of flowering species and throughout the year you will find different species growing throughout the country. To help me out a bit I purchased a (Chinese-language) book a few years back that introduces all the species of flowers blooming in Taiwan, when they bloom and where the best spots to view them are. The book has been an amazing tool during my travels because it has let me know when and where to go check something out when I'm planning my weekly or monthly schedules. 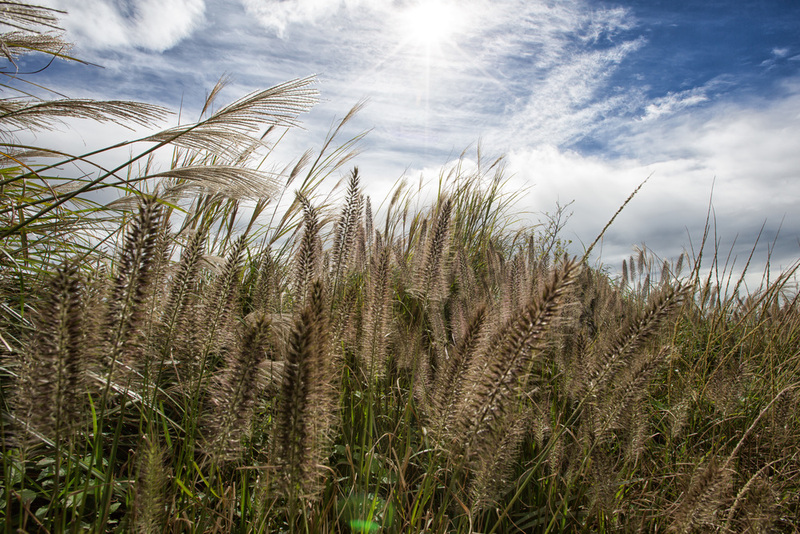 Silver grass or Miscanthus Sinensis is a species of flowering plant that is endemic to East Asia growing in Taiwan, Korea, Japan and China. 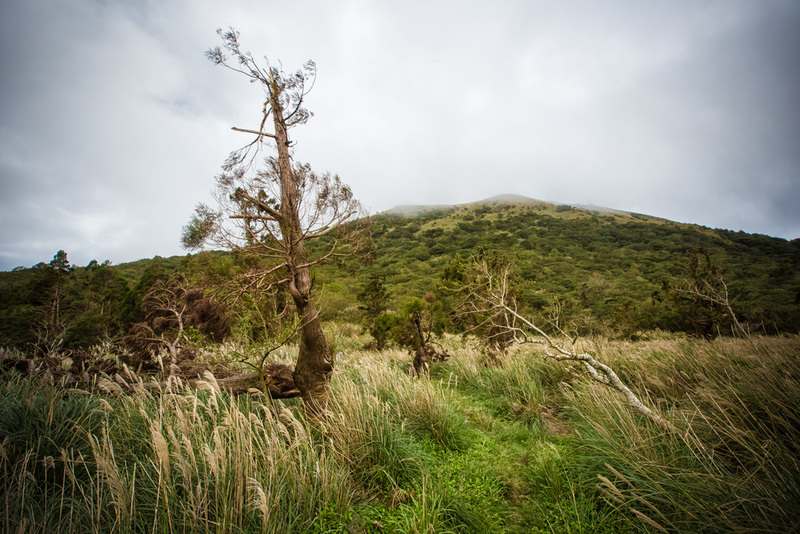 In both Taiwan and Japan, the plant is widely respected and during the Autumn months (October - December) people will flock to see it covering the mountains and hillsides. Coincidentally in North America attitudes toward the plant are exactly the opposite and it is considered an invasive species and is usually destroyed. It's interesting that the so-called “weed” is reviled in one area and highly respected in another. 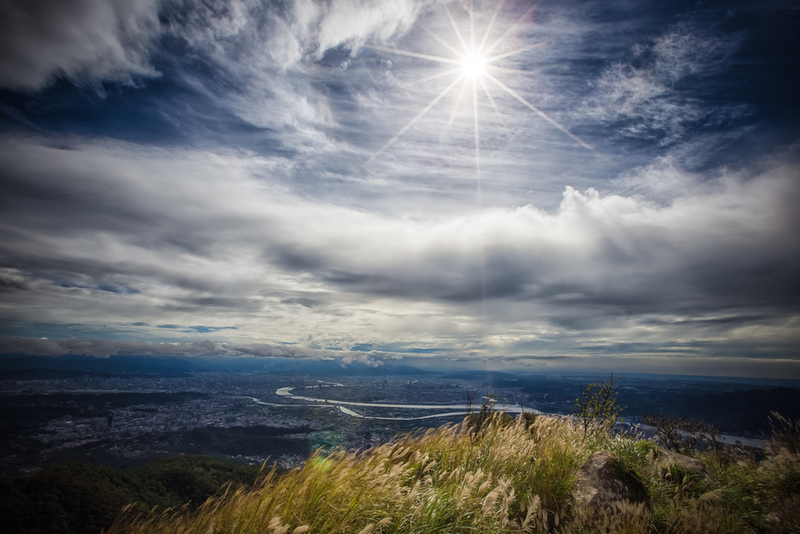 I decided to do a bit of research in my handy book as to where would have the most silver grass and I found out that the western peak of Da Tun Mountain (大屯山西峰) was likely to have the most, but also an excellent view of Taipei city as well as Danshui and Bali. I figured it would be a perfect location to get shots of Taiwan’s Autumn flower and some landscape shots as well. 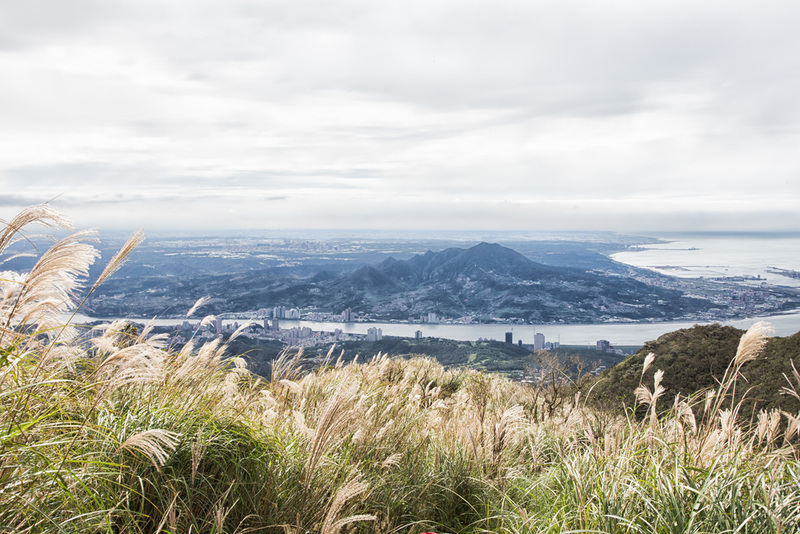 When I got to the top of the western peak I wasn't disappointed in the slightest as the view of the city was spectacular and there was more than enough of Taiwan’s Autumn flower to get some really nice shots. I'm quite pleased with what I got, but I'm going to have to go back to Datun mountain again in the next little while to finish the rest of the peaks so I can post about that too! There isn't much information online in English about silver grass, but take my word for it, it's pretty cool to see Taiwan’s typically green mountain tops changing colours during Autumn and if you are in Taipei, just look towards Yang Ming mountain from any vantage point between now and December and you'll notice that it doesn't look like it usually does! You've still got some time left for this years crop of silver grass. 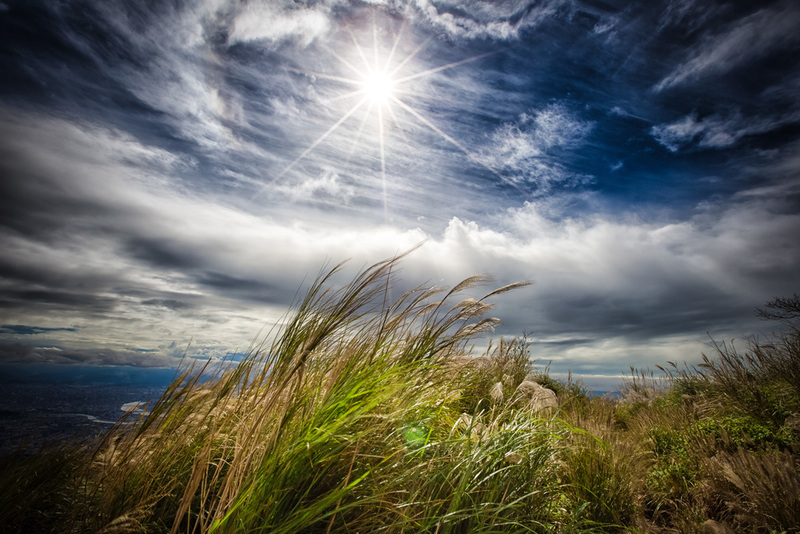 If you haven't seen it yet, a nice hike might be a good idea for a day trip on the weekend!